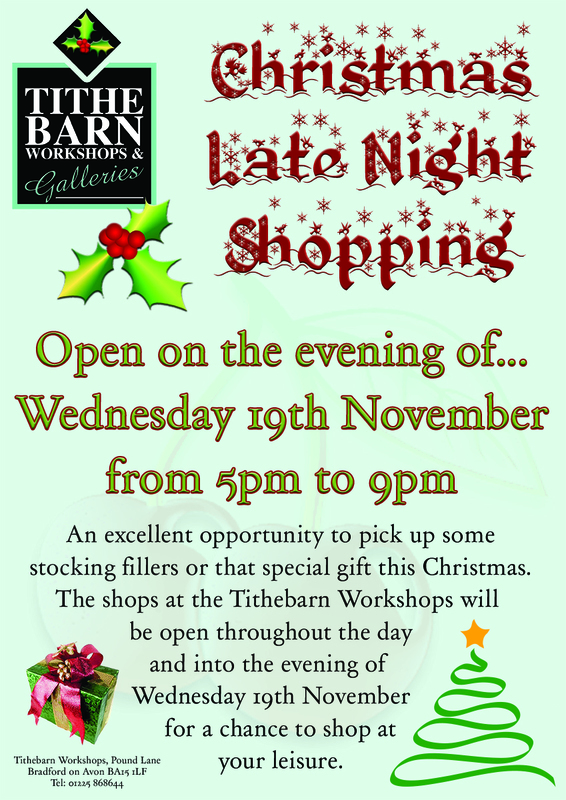 Just a quick reminder that tonight is the night for our late night Christmas shopping at the Tithebarn Workshops. Together with the Granary, we will be ready to see everyone down at Barton Farm this evening for shopping, music, mince pies, mulled wine and chat! We look forward to seeing you all later today. This entry was tagged christmas shopping, granary pine, late night shopping, live music, tithebarn workshops, what to do in bradford on avon. Bookmark the permalink.